How adorable is Brooke and Alex? Monika de Myer Photography captured this adorable duo’s engagement session so perfectly starting at the grammar school where they first met and ended it at the perfect locale with picturesque backdrops. Add in the sweetest proposal story, romantic lighting, and a whole lot of love and you have yourself engagement goals, for sure! 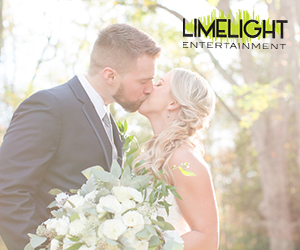 See our favorite moments below and be sure to read more about this couple’s upcoming wedding in the latest Spring/Summer 2018 edition of Contemporary Weddings Magazine! From the bride…Alex and I have quite the history. Asking how we met is a loaded question. We met back in first grade. We were in the same class and even back then we would “trade” each others granola bars for fruit roll-ups. So I guess that’s where we can say it all started. We continued through elementary, middle and high school together, and were part of the same group of friends through it all. Alex and I first actually started to date back in high school, freshman year. After senior year of high school, we both went off on our separate ways to college. He went to Fordham and I went to Penn State. Needless to say, after one year of not b being together, we found our way back together Sophomore year of college and have been pretty much been together ever since. Alex proposed April 8th. We have a dog, Roddy, and on the morning of April 8th, Alex suggested we take the dog for a walk. We had been working with a dog trainer, so in typical Alex fashion, he wanted to go “practice”. It was still early spring, and a little chilly out, so of course I was trying to talk Alex out of going on a walk. After some convincing, I finally agreed to go. I threw on some sweatpants, sneakers, ponytail and sunglasses and was ready to go, meanwhile Alex was lacing up his “chukka” boots, jeans, and had his hair perfectly in place. I should have known something was up. So when we got to the end of the pier, overlooking NYC, Alex got down on one knee and asked. I was completely shocked, and didn’t expect it all. I didn’t say “Yes” right away, because my typical-self, I over-analyze everything. I questioned him, while he was still down on one knee, “Did you ask my dad”, “Do my parent know about this”, “Do our friends know” and let him answer before I actually said “Yes”. We originally had dinner plans that night, as my birthday was earlier that week, but instead it really was an engagement celebration. We had dinner with friends, and then met other friends later at a Porta in Jersey City. When we told people were engaged, most said “Finally. It’s only been 22 years in the making”. When is the big day and where will you be getting married? What is your wedding theme and color palette?